The operators of Sciroxx Laboratories were arrested in Israel last month on suspicion of running an international anabolic steroids distribution and smuggling ring. The arrest was made possible with the considerable assistance from the United States Drug Enforcement Administration (DEA). The Israel Police and Israel Tax Authority arrested two suspects – Elad Ferman and Lior Harush Shapira – and detained a third suspect for interrogation. Police expect to make additional arrests. Elad Ferman is an accomplished competitive bodybuilder who once won the title of “Mr. Israel”. Ferman was thought to have use the false name “Karl” to advertise the sale of Sciroxx Labs brand of steroids via internet bodybuilding forums and via the Sciroxx website. Most of Karl’s / Sciroxx’s customers were based in the United States. Lior Harush Shapira is an entrepreneur who is listed as the owner of an Israel-based fitness equipment company called CardioSport. Shapira was suspected of being one of the top leaders in the Sciroxx organization. The Israel Police Diamond Unit launched its investigation of Sciroxx Laboratories approximately one year ago. The secret investigation was initiated after the U.S. DEA shared information about Sciroxx Labs with its Israeli counterparts. The investigation also investigation several other Israeli agencies including the Jerusalem Police Station, the Israel Money Laundering Prohibition Authority, the Israel Tax Authority Intelligence Unit and the Israel Police Foreign Operations Coordination Unit. Sciroxx Laboratories has been of the radar of the U.S. DEA and U.S. Food and Drug Administration (FDA) as early as November 2011. The long arm of American law enforcement has probably been trying to find a way to shut down Sciroxx’s international operations ever since then. The Americans collected considerable intelligence regarding Sciroxx Labs when a criminal investigation resulted in the arrest of two of Sciroxx Labs’ domestic remailers in the state of Rhode Island in 2011. 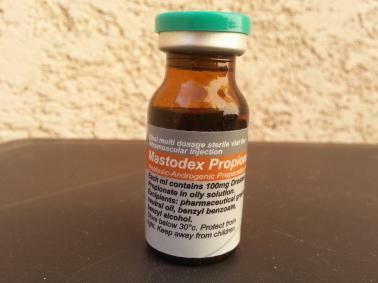 Edmond Paolucci and Patrick Cunningham provided a domestic remailer service for American customers who ordered steroids from Karl and/or via the Sciroxx website. Paolucci and Cunningham imported 650 ml jugs of injectable steroids as instructed by Ferman (aka Karl). The steroids included testosterone enanthate, Equipoise (boldenone undecylenate), Deca Durabolin (nandrolone decanoate), trenbolone acetate and many other steroids. The bulk steroids were repackaged into 10-milliliter vials and branded with the Sciroxx Laboratories label. Federal investigators seized considered evidence from Paolucci’s and Cunningham’s computers and electronic devices. The evidence included email correspondences and Skype video conversations with their unnamed Israeli co-conspirators. Ferman and Shapira face charges of steroid trafficking, money laundering and tax evasion. Specifically, the two men are suspected of committing serious offenses in violation of the Income Tax Ordinance, the VAT Law, the Customs Ordinance, the Prohibition of Money Laundering law and the Penal Law-Life Risk.